Thank you for your interest in giving to Welcome Church. We are very grateful to everyone who gives money on a regular basis. It enables us to do all that we feel God has called us to do in Woking and the surrounding areas. It’s a hard fact of life that money will always be one of the most limiting factors in all that we’re able to do. 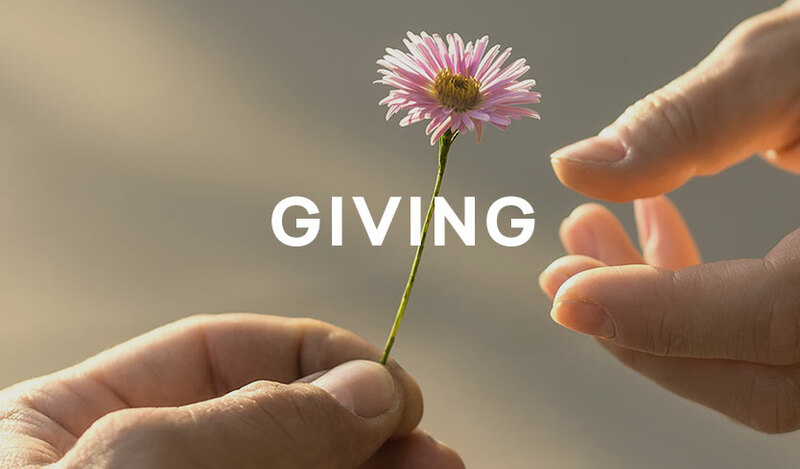 To find out more about giving to Welcome Church and to see how we spend our money, please click on the links below. At Welcome Church, we believe that giving is a response to the grace of God in our lives. A transforming work of Christ in us. His grace is the action, our giving is the reaction. We give because He first gave to us and God’s generosity towards us is beyond all comprehension. Regular giving is therefore a mark of a fully developing follower of Jesus. We believe that everything we have belongs to God and we are only looking after what He has given us. The Bible says: "The earth is the Lord’s, and everything in it, the world, and all who live in it." (Psalm 24 v 1) It is with this in mind that we encourage all who call Welcome Church their home to give regularly and generously in proportion to their income. Thank you for your gifts to Welcome Church. Thank you for investing in eternity! What does Welcome Church Spend Money on? Welcome Church doesn't have any other form of income except what is given by our members and those who attend. Most of this income enables us to do all that we do. It pays for our few staff members, for our building costs, the events we run, the tea and coffee provided at meetings and so on. In brief, it allows us to function as a church - discipling and caring for everyone who attends, and reaching out to share the gospel with those around us. We believe in the biblical principle of generosity and we aim to give away 10% of our income each year. There are several groups and charities that we support as a church - financially and in other ways. Giving to Welcome Church is also giving to support these other groups. Seen more people connect with us, experience Jesus’ love, and begin a new life of following him. Provided pastoral support and care for many people across the local area. Run 3 Alpha Courses and other discipleship courses. Run a free mother and toddler group 3 times a week. Provided free lunches and support for those in need each week. Held several community events, including a fireworks night. Provided great children’s groups on Sundays and mid-week. Run a fantastic youth group including a weekend away and a week at Newday. Run groups for 20's, 30's, over 60's, single parents and others. Continued to build and maintain strong links with Commission churches and other links around the world. Attended Westpoint as a group of over 250 people. This is just the tip of the iceberg and we have done so much more as a church than this. All these activities cost money (as well as time and effort) and we are very grateful to everyone who regularly gives financially to support us and to enable us to grow the church. Thank you if you have been part of that. If you would like to give to Welcome Church, please see the “Ways to Give” tab on this page. Giving by standing order directly into our bank account is the preferred method as it involves less administration and enables us to budget more easily. You can set up a standing order by using the details listed under "Personal Banking" or by using our standing order set up form that can be downloaded by clicking here. If you have a personal Gift Aid code, please use this as the reference. Otherwise, use your surname and first initial. If the gift is for the Buildings Fund, please add "BF" or "Build" to your reference. Cash, cheques or completed credit card forms can be placed in the offering basket during Sunday meetings. Cheques should be payable to “Welcome Church”. If you are a UK tax payer and giving cash, please put your gift in an envelope and add a note with your details as this will allow us to reclaim the tax you have paid. Giving envelopes are available in the foyer every Sunday. Coming soon - If you have a PayPal account you will be able to give a one-off gift to Welcome Church by using the link on this page. Why does Welcome Church have different funds? Which one should I give to? As the name suggests, our General Fund is where most of our day-to-day general activities and costs take place. Unless otherwise specified, all gifts received are placed in the General Fund and are spent on the general work and ministry of Welcome Church. Welcome Church also has a separate Buildings Fund that is specifically for the building and venue needs of the church. Our current building is not suitable for us to use on a Sunday and we are planning the development of a new chapel for 2019. The Buildings Fund is being used to save up to pay for this work. We would ask you to consider giving to this fund on a regular basis in addition to your regular giving to the church. We have a number of special funds that we use to support particular projects, ministries and people who have gone from Welcome Church to situations around the world. From time-to-time, we also take up special offerings for particular projects or for urgent needs or relief projects. Special funds are set up and administered for these offerings and will generally be explained at the time. If you are a UK tax payer, for every £1 you give to Welcome Church we can claim back 25p extra from HMRC at no extra cost to you. There is no lower or upper limit on the amount that can be given and tax reclaimed, but the gift needs to be traced back to the giver. Cheques, bank transfers, standing orders etc. are usually easy to trace but any cash gift needs to be put in an envelope marked with your name so that we can identify you as the giver. Envelopes can usually be found in the foyer at all of our Sunday meetings if you require one. We can only claim the tax for anyone who pays UK tax at the basic rate or more, and has given us permission by completing a Gift Aid form. You only need to complete a Gift Aid form once and it will then be valid for all your gifts to Welcome Church. Gift Aid forms are available on a Sunday morning, or can be downloaded by clicking here. We are committed to excellent financial management at Welcome Church. We do all we can to maintain the highest levels of integrity with the resources God gives us through the tithes and offerings of people like you. Establishing policies for secure handling, counting and recording of all gifts. Preparing and managing a budget. Conducting an external accounting audit annually. Providing regular reports to our Trustees and to the Charity Commission. Providing a financial report to the church. Our annual accounts are also published by the Charity Commission. If you have any questions about our financial management, please do not hesitate to ask. If you have any questions about giving or Welcome Church’s finances, please chat to one of our leaders on a Sunday morning or contact Darren in our church office.